Born June 12, 1932 in Tulsa, Oklahoma, to Leonard Lewis Jones and Eleanor Mary Jones, Ted was an Eagle Scout, a member of the Sigma Phi Epsilon fraternity, a National Ski Patrolman, and a Republican. He received a bachelor of science degree in business from the University of Colorado and an MBA from Vanderbilt University. He served in the Navy during the Korean War and worked for Johnson Controls for over 30 years. Ted and Edie raised their family in Montana, Minnesota, and Kentucky before coming to Oregon in 1991 to own and operate Camp Tamarack. The Presbyterian Church and the Rotary Club were central to Ted. He contributed to church communities throughout his life, including the Church of the Transfiguration in Sisters. As a 50-year member of Rotary, he served in many capacities. One highlight was leading a group to New Zealand, for which he was appointed Ambassador of Good Will and a Kentucky Colonel. He later served as president of the Sisters club and was named a Paul Harris Fellow for his contributions. 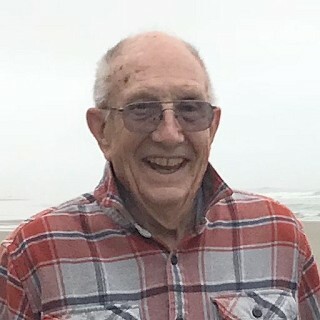 While living in Oregon, Ted also held leadership positions in the Western Association of Independent Camps and served on the Deschutes County Commission on Children and Families, earning the distinction of Volunteer of the Year. Ted climbed the Matterhorn and enjoyed camping, skiing, football, nature, birds, attending the symphony, driving his car, and walking his dog, Walker. Ted will be missed by his wife, Edie Jones; his children, Steffanie Lynch and husband Dave (Walpole, Massachusetts), Shelly Jones-Wilkins and husband Andy (Staunton, Virginia), Leonard Werner-Jones and wife Gisela (Munich, Germany), and Franklin Jones (Portland); his grandchildren, Corey and Sean Lynch, Carson, Logan and Tully Jones-Wilkins, Anna and Lea Werner-Jones; and his cousin, Mary Ann Craig (Durango, Colorado). The family requests memorial gifts go to the following two organizations: Sisters Rotary Foundation - "The Ted Jones Scholarship Fund." Donations accepted at: PO Box 1286, Sisters, OR 97759. Inquiries can be made at: haldarcey@aol.com or 808-864-5683. Donations can also be sent to the Scholarship Fund at Camp Tamarack: Camp Tamarack, 19696 Sunshine Way, Bend, OR 97702 or www.camptamarack.com. Services will be held on April 6 at 2 p.m., at the Church of the Transfiguration in Sisters.